Avendus Capital advises Shubham Housing & its shareholders in a USD 48 million fundraise from Premji Invest, Helion Venture Partners and Elevar Equity and a secondary sale by Accion & Samaa Capital. 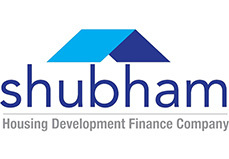 Shubham Housing Development Finance Company Limited (“Shubham”), a leading affordable housing finance company, announced a fund raise from Premji Invest and existing investors Elevar Equity and Helion Venture Partners. Avendus Capital was the exclusive financial advisor to Shubham and its shareholders. As part of the transaction, Premji Invest will infuse capital in the business and acquire stake from two of the existing investors, Accion Africa Asian Investment Company and Saama Capital. The existing shareholders Elevar Equity and Helion Venture partners participated in the fund raising round with Premji Invest. Located in Gurgaon, India, Shubham was founded in 2011 by Sanjay Chaturvedi and Ajay Oak with a vision of financial inclusion by providing housing finance to the unserved and underserved sections of the society. Today the company is one of the fastest growing companies in the affordable housing segment with assets under management exceeding INR 10Bn and a presence across 12 states via 90 branches. Along with a unique capability to underwrite housing loans to this segment of the society, Shubham has a strong technologically integrated platform and advanced portfolio monitoring analytical capabilities. “The fact that we have been able to attract equity investment from a fund of the calibre of Premji Invest further to earlier investments by Elevar Equity, Helion Advisors, ACCION’s Frontier Investment Group, Saama Capital and Motilal Oswal is a tribute to the strength of Shubham’s business model and a source of great pride for Ajay & me. We can now leverage these funds to take Shubham to the next orbit. Knowing that by doing this we will contribute to the national mission of Housing for all by 2022 gives us immense satisfaction” said Sanjay Chaturvedi, CoFounder and CEO of Shubham Housing. “We fully support the promoters in their endeavour to provide affordable housing solutions for the marginalized sections of society. This is also aligned with the governments stated objective of “Housing for All”. Shubham has scaled up to be one of the leading affordable housing players by building fully automated underwriting and risk management practices, through in-house sourcing mechanism which makes the company unique. Premji Invest will look to work with Shubham founders in building robust processes and systems to help scale the organisation to the next level” said Rahul Garg, Partner, Premji Invest. As part of this deal Rahul Garg will join the Shubham board. PremjiInvest was formed in 2006 to invest on behalf of Azim Premji, Chairman and Founder of Wipro, with assets under management of ~$3-4b across Public and Private markets. The Avendus Group (Avendus) is a leading provider of financial services with an emphasis on customized solutions in the areas of Investment Banking, Wealth Management, Structured Credit Solutions and Alternative Assets Management. Avendus relies on its extensive experience, in-depth domain understanding and knowledge of the regulatory environment, to offer customized solutions that enable clients to meet their strategic aspirations. Avendus Capital has consistently been ranked among the leading financial advisors by the number of deals. It has a strong track record of cross-border transactions and has helped multiple clients benefit from opportunities across geographies. Avendus’s wide range of clients is testimony to its ability to serve its corporate clients throughout their life cycle – from growth stage funding to complex, large sized transactions later in the cycle. Avendus Capital Inc. and Avendus Capital (UK) Pvt. Ltd. located in New York and London respectively are wholly owned subsidiaries offering M&A and Private Equity syndication services to clients in the respective regions.